- Timber is a natural product - variations in knots, colour and grain should be expected - They are not defects. 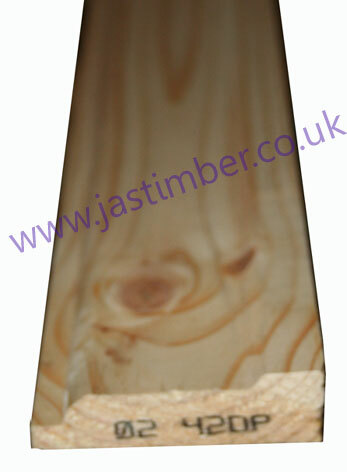 - Latest 3" Lambstongue Stock has Scandinavian Mill mark SCA : - Previous marks include: II 4.2M. STORA - ENSO - etc. E. & O.E. see T&C - We do try to keep prices and specifi­cations of 3" Timber Lambstongue correct, but mistakes can be made!